Amy Ren is 10 years old. 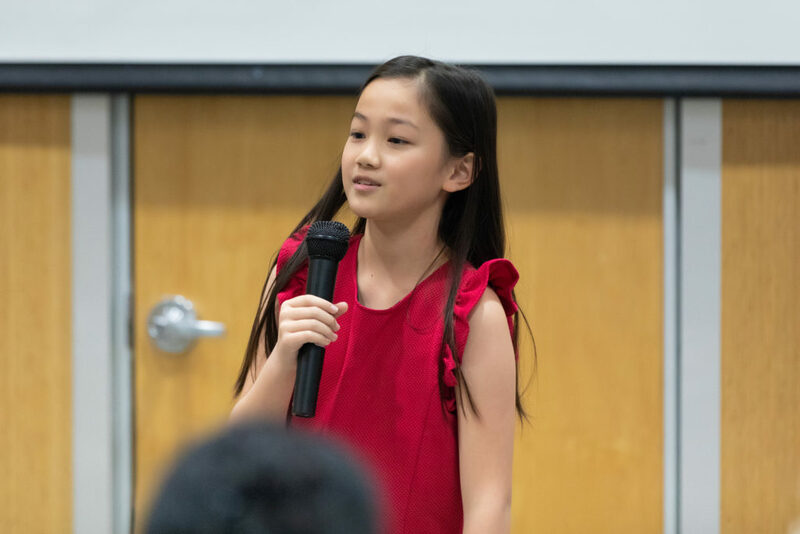 She is in Grade 5 at Mulgrave School, and adores public speaking! 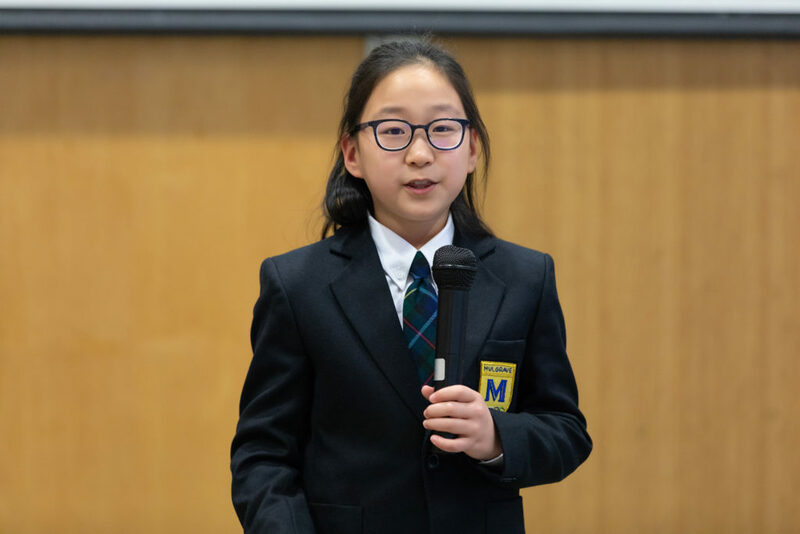 Last year, she proudly represented Mulgrave in the ISABC speech competition. Amy has always believed in the power of words, and she hopes that her speeches can record the moments of life, share personal and heartfelt stories, and help other people. Katherine is is friendly and generous. When help is needed, she is the first to appear. She is curious and adventurous, exploring everything, unwrapping the mysteries of the world. She is thoughtful and creative. She likes to create songs or dances for her performances. She would not dare to step on an ant. She loves nature, even little creatures. She is quite an artist. A splash of coffee on the table might be trouble for others, but for her, it is art. She is always hardworking and positive, challenging herself to be better. "Good evening, honourable judges, parents, and fellow peers. 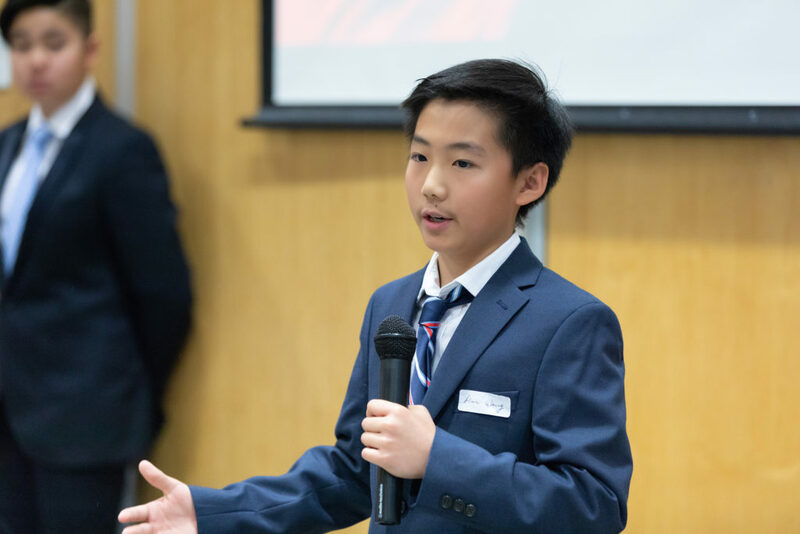 My name is Gary Wang and I am a Saint Georges student in Grade 6. I moved to Canada from China when I was 4 years old. I like to play basketball, video games, and in my spare time I will sit down and chill out with a good book. Recently I just finished the first book of Winds of Fire by Tui T. Sutherland, and am currently reading Fⅳe Kingdoms by Brandon Mull. I really enjoy speaking on stage, and I'm excited to perform my speech for you." 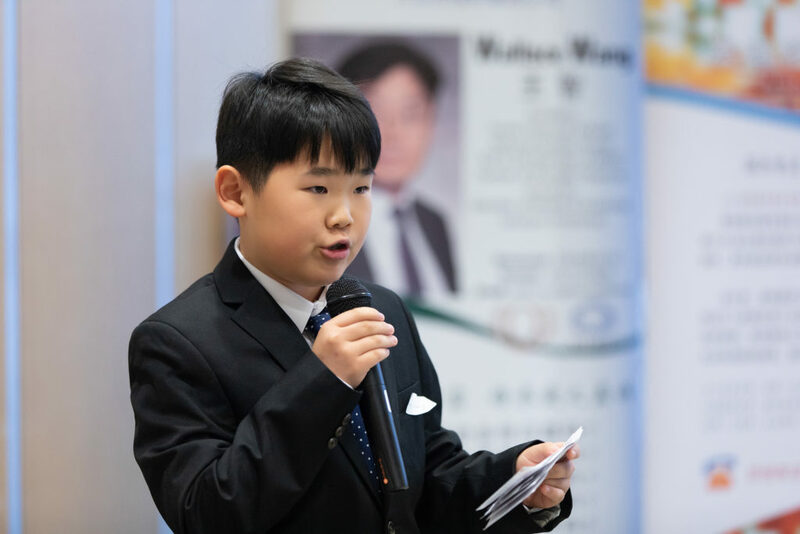 Jason Yu is a 10-year-old student at Vancouver College. He's a competitive public speaker and has won several awards in public speaking. He's passionate about charity causes, often volunteering at old folks homes. He loves sports, especially basketball. At school, he's excellent academically and socially, and he shows strong leadership. Little by little, Jason is doing what he can to achieve his dream in the future. "Hi, everyone! My name is Allan Wang. I'm 11 years old. My school is QE. I'm in Grade 6. I have many hobbies. I like playing basketball, swimming, singing, and reading. I'm very kind, brave and optimistic. I am very caring and understanding. I am organized and responsible. Additionally, I am not selfish. I feel delighted when I am helping others. When I grow up, I want to be a man with a broad mind like the sky. I hope everyone will like me." "My name is Karina Fung. I’m eight years old. I study at Delta Christian school and study there as a Grade 3 student. I [really] like acting and fashion; that’s why at the start of this year, I entered a drama performance called Aladdin. I'm also taking lessons for modelling. Horseback riding is my favourite sport." Support your favourite speaker on Facebook & WeChat Platform to help them get the People's Choice Award!